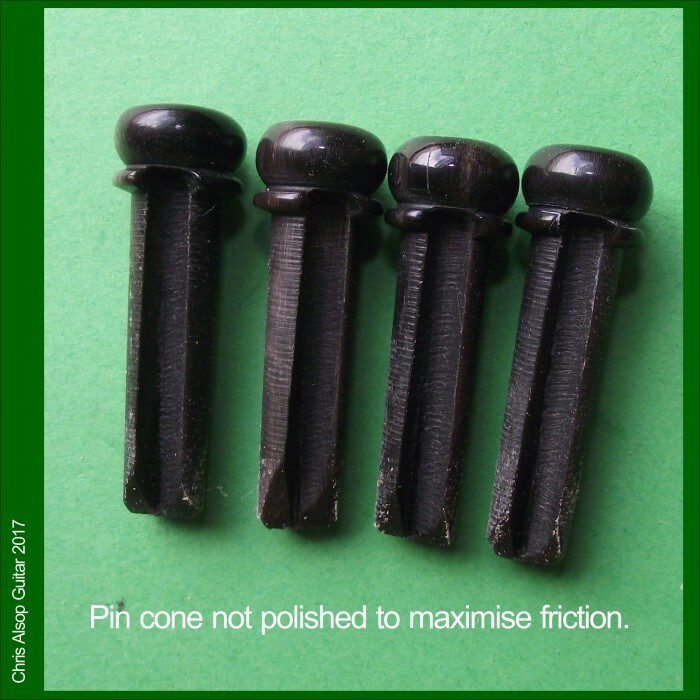 • 8.0mm diameter at top of the cone (also known as under the collar). 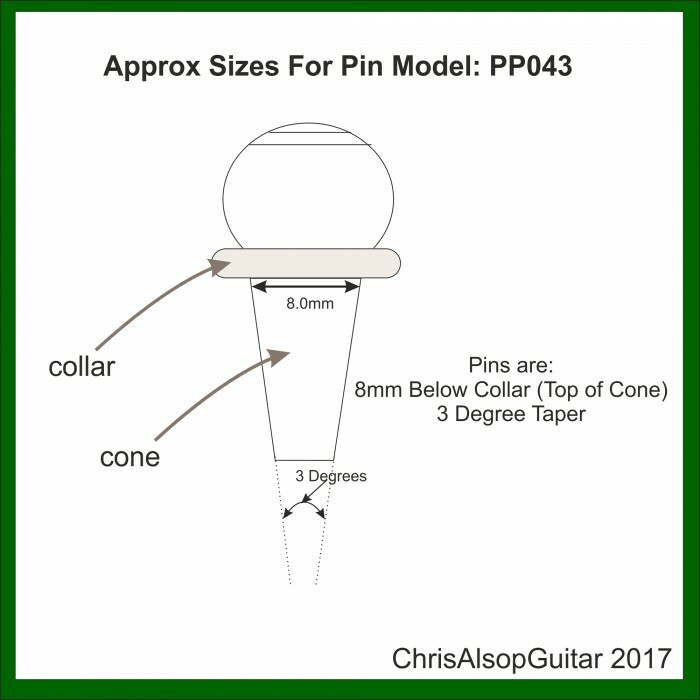 • The cone has 3 degree taper. 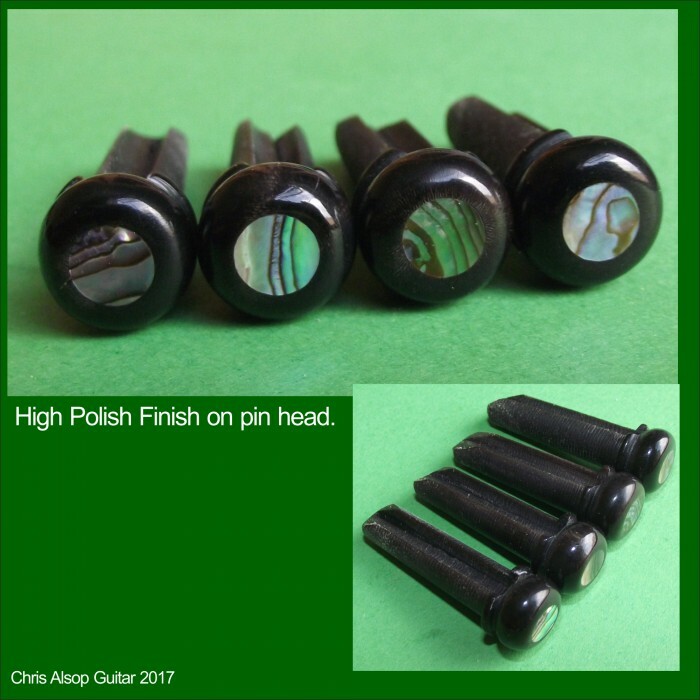 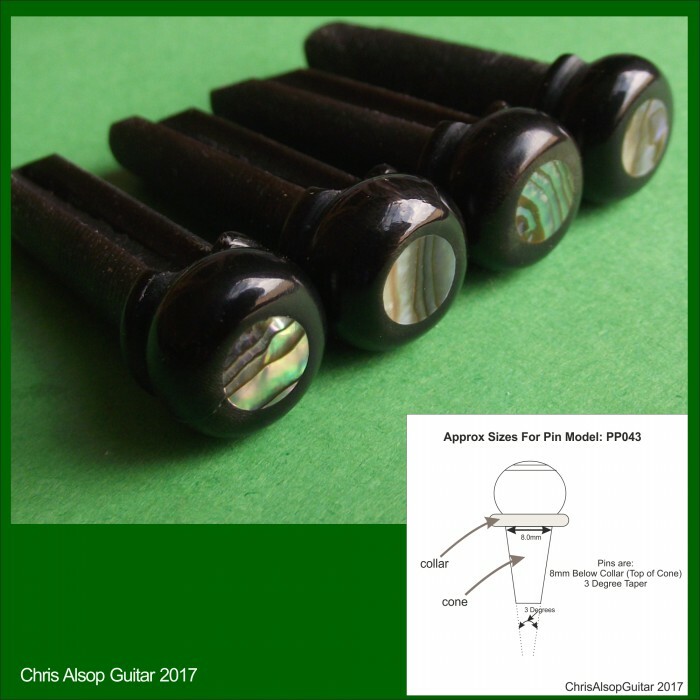 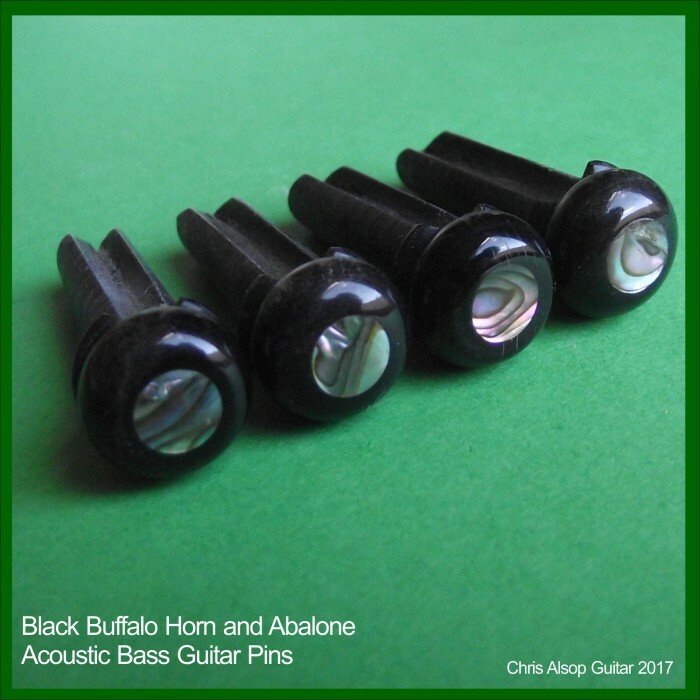 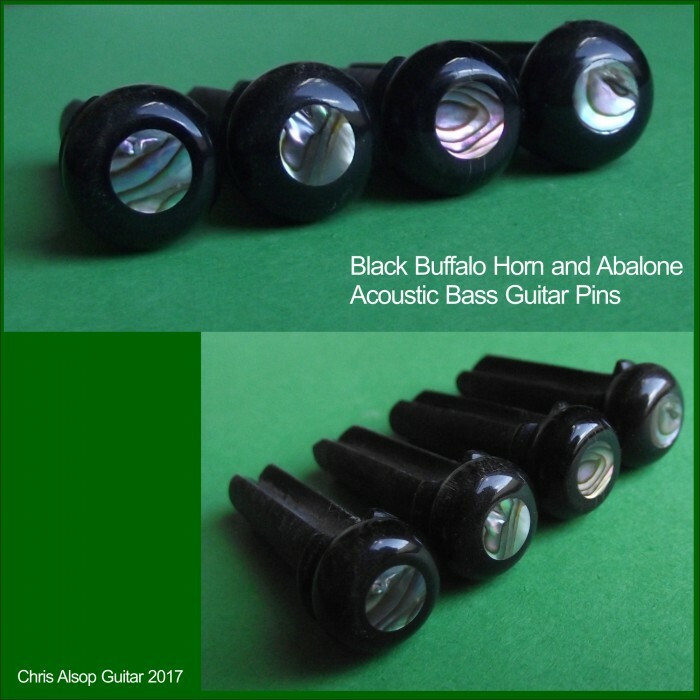 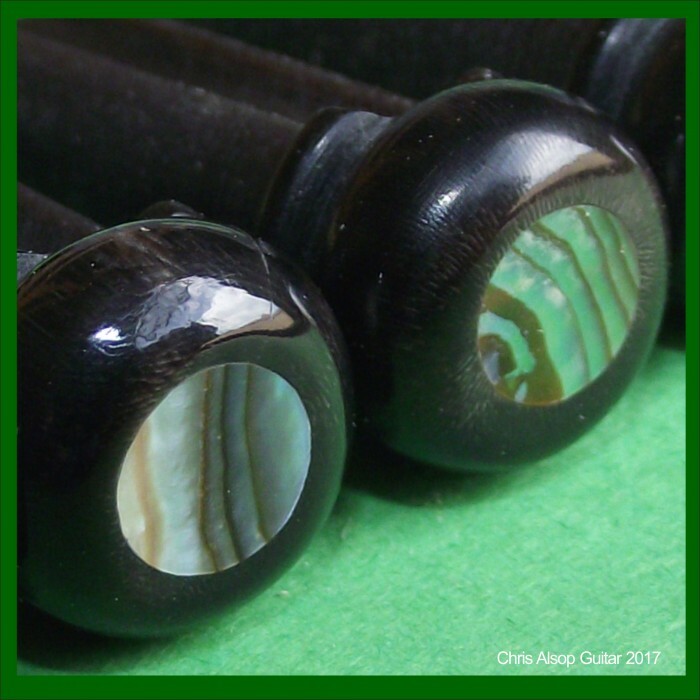 The pin material is black Water Bufalo horn with an abalone inlay.